First-up, what not to eat. Primarily man-made processed food that your body was not designed to consume. Fortunately, or unfortunately, your body is very adaptive because it can use what you put in to survive. What we need to be eating is a diet that our ancestors ate. The difference between then and now is we used to eat to live, but now we live to eat. In fact, our culture is obsessed with food, taste possibilities and flavor creation. What people don’t understand is how every bite we eat is either promoting health, or promoting disease and dysfunction. 1Man-made and restaurant foods that is loaded with sugar, salt, preservatives and unhealthy oils. 2White sugar that promotes cancer growth and host of other problems, such as spiking insulin to unhealth levels. 3White flour that is refined and bleached, being stripped of all its nutritional value. 4Artificial ingredients usually found in a can, bottle or a box that promote disease. 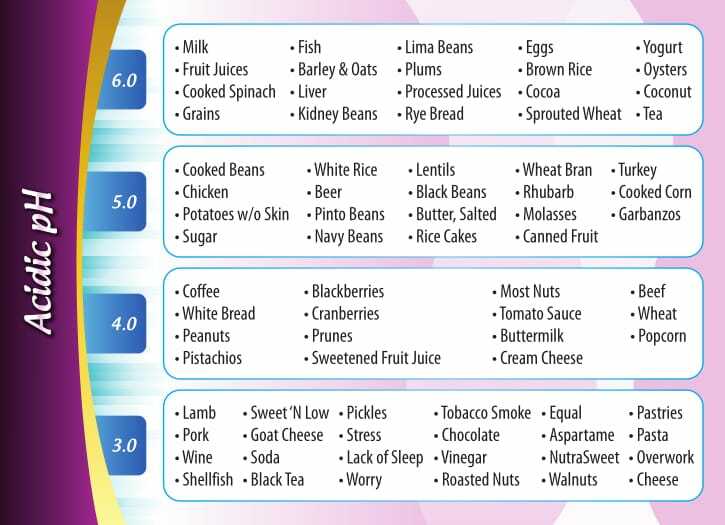 5Grains, dairy products and meats. Biochemist Otto Warburg, one of the 20th century’s leading cell biologists, discovered that the root cause of cancer is too much acidity in the body, meaning that the pH, potential hydrogen, in the body is below the normal level of 7.365 which constitutes an acidic state. In 1931 he was awarded the Noble Prize in Medicine for this discovery. A diet that includes too many acid-producing foods, such as protein or sugar, can cause acidity. In addition to the cancer worry, this may cause a type of kidney stone called uric acid stones to form. Furthermore, it is speculated that too much acidity can also cause bone and muscle deterioration. This is because bones contain calcium, which your body uses to restore your blood’s pH balance when it becomes too acidic. Some evidence suggests that phosphoric acid, commonly found in darker sodas, is linked to lower bone density, especially when it replaces milk, a calcium- and protein-rich beverage. Too much acidity can also increase risk for cancer, liver problems, and heart disease. 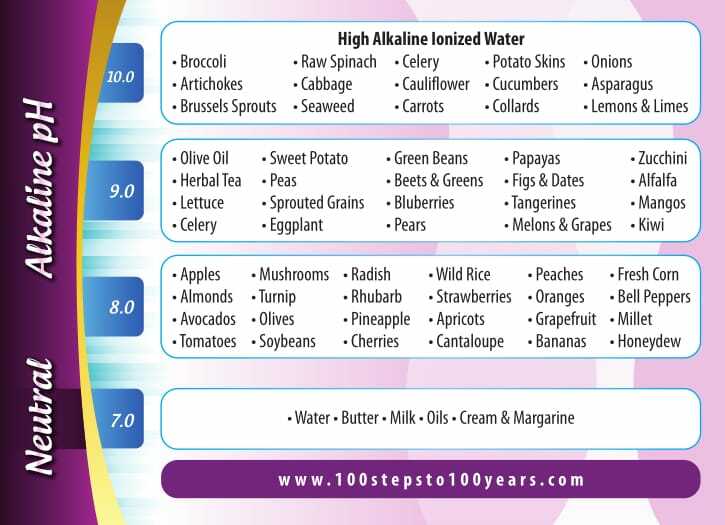 Making changes to food habits to attain healthy acid levels becomes crucial to maintaining healthy bodily function. Some foods and beverages produce less acid than sodas or protein, but they still don’t provide the major alkalizing effect of most fruits and vegetables. If you’re worried about acid wearing down bone, you can take small amounts of sodium bicarbonate. University of California, San Diego researchers suggest doses that are less than 5 grams. However, you shouldn’t take it during mealtimes because it can interfere with your digestion. Getting enough dietary calcium, vitamin D, phosphorus, and magnesium may also be helpful for offsetting the negative effects of acid on your bone. Because waste products tend to be acidic, researchers at the University of California in San Diego suggest eating more sources of alkaline-producing foods, such as fruits and vegetables, at a 3-to-1 ratio. While rare, it’s possible for the urine’s pH to be too alkaline. However, in the United States, too much acid tends to be a more common problem. This is because of the high rates at which people eat animal protein, sugar, and grains. Higher rates of prescription drug use also contribute to this problem. Eating more fruits and vegetables, along with curbing your refined carbohydrate, sugar, and dairy intake, may help balance pH levels within your body. Either way, a plant-heavy diet with reduced refined sugar intake has many health benefits and may reduce daily issues and lower the possibility of certain long-term health risks.